We want to welcome to Condado De Alhama resort a new business run by entrepreneur Antony Neilson. 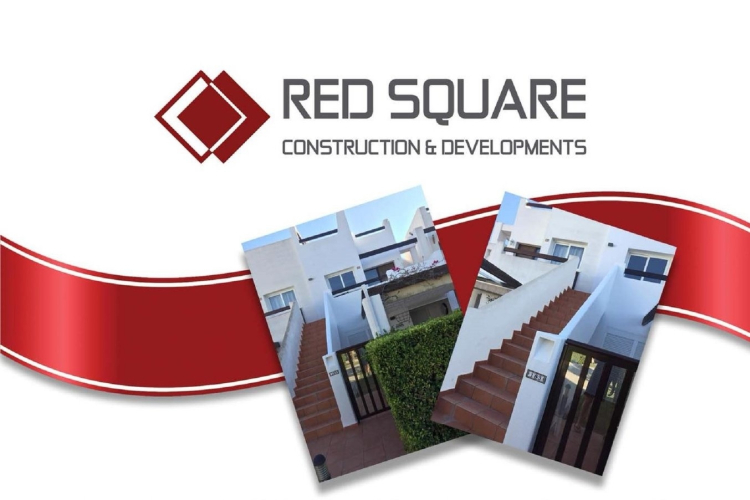 Antony has recently set up The Red Square Group (Spain) along with his partner Natalija. They offer everything all under ‘one roof’, from basic key holding services through to apartment cleans, laundry services, general building maintenance and refurbishments. Antony has been working in the construction Industry since 1988 and has been running his own company in the U.K since 1997. Antony & Natalija decided to relocate to Condado De Alhama to get away from the rat race of the U.K and of course the weather! 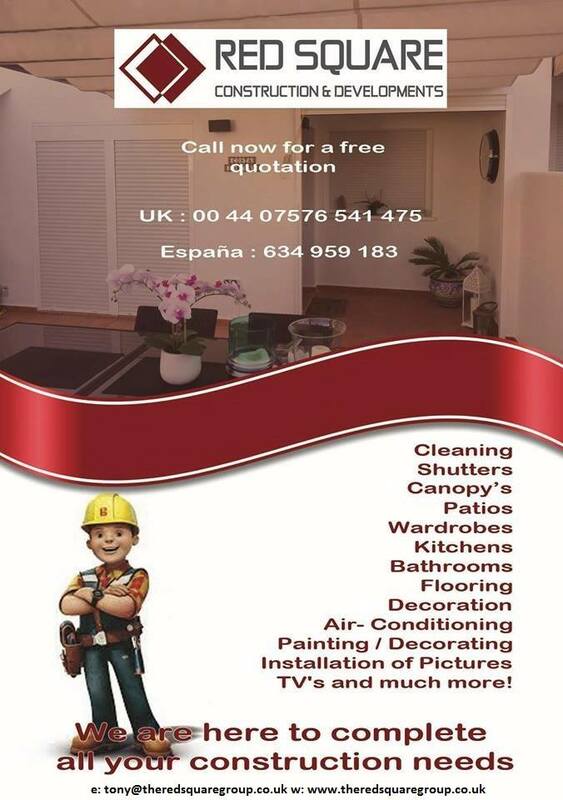 Their mission is to offer a complete service to residents on Condado De Alhama along with other neighbouring resorts, such as Campasol, Mazarron Country Club, Hacienda Golf Resort and the small towns and villages in between. 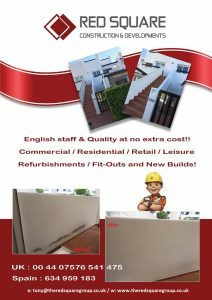 They carry out / oversee all the work themselves and do not sub-contract any of the work out, so you can be assured of 100% quality / 100% of the time. Are you looking for someone to look after your property? Social: Follow us on Facebook. 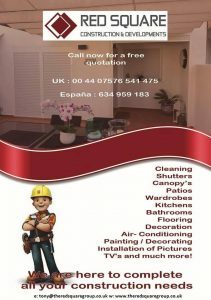 Welcome to Condado de Alhama Anthony, wishing you every success with your new business on the resort.